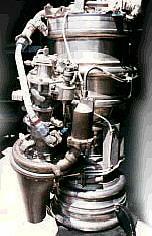 Rocketdyne h2o2/kerosene rocket engine. Future-X Demonstrator Engine. Gas generator, pump-fed. Heritage technology in evaluation for current applications. X-37 Reusable Upper Stage Vehicle. Date: 1999. Thrust: 29.34 kN (6,596 lbf). Specific impulse: 245 s.
Propellant Formulation: H2O2 (90%) / JP-4 or JP-5. Family: Storable liquid. Country: USA. Propellants: H2O2/Kerosene. Agency: Rocketdyne.